Wow, I’m horribly bad at keeping up my travel posts! I’m still recapping the trip to Italy that I took last year. How ever do people find the time to consistently blog? Oh well, here goes. 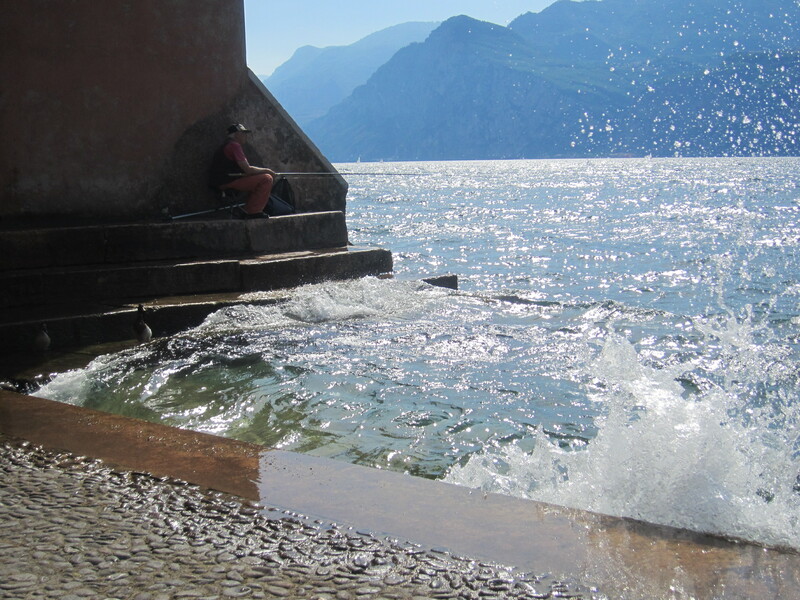 The best part of my Italian vacation was not Florence or Venice but Lake Garda. 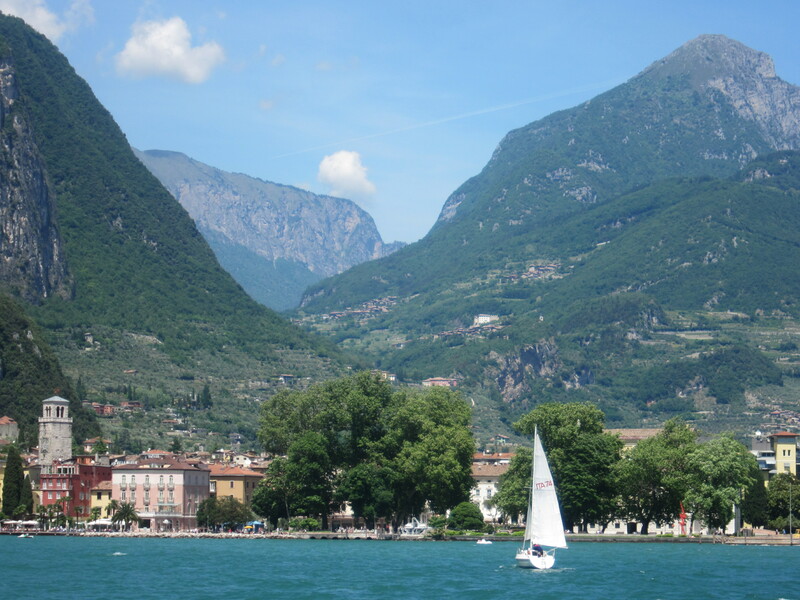 Lake Garda, located at the foot of the Alps east of Verona, is not just a lake but a lake bordered with impossibly charming and beautiful towns and villages. The lake itself, a deep blue with snow capped mountains in the background, is already a sight in itself. Add in brightly-colored quintessentially Italian towns and villages filled with people enjoying la dolce vita and you get the perfect recipe for a great vacation. Thankfully, it’s incredibly easy to visit these towns. A ferry company, Navigazione Laghi, runs ferries like clockwork on numerous routes. The hardest part is deciding which towns to visit. Check out the ferry company’s site for routes, departure and arrival times, as well as a brief listing of what you can do and see in each town. In one day, you can easily visit two or more towns at a leisurely pace. We parked the car at a town south of Malcesine, bought our ferry tickets at the ticket booth near the embarking dock and off we went. We first stayed on the ferry for a while, just enjoying the passing scenery. While each town offers its unique sites, some have museums, some natural wonders, some castles, we didn’t really have a pre-set itinerary. Basically, in every town, we just walked around, poked around in shops, ate, drank, and took lots of photos. Lazy travelers I must admit! 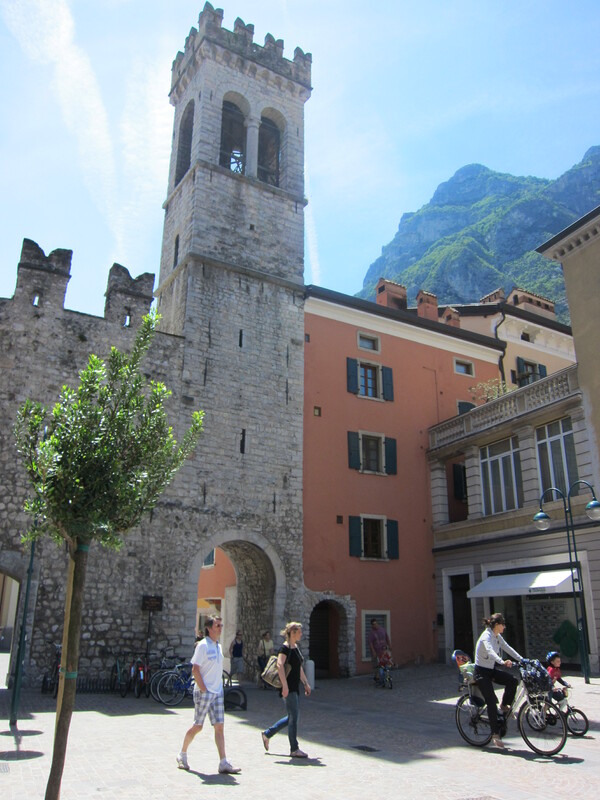 Our first stop was Riva del Garda. 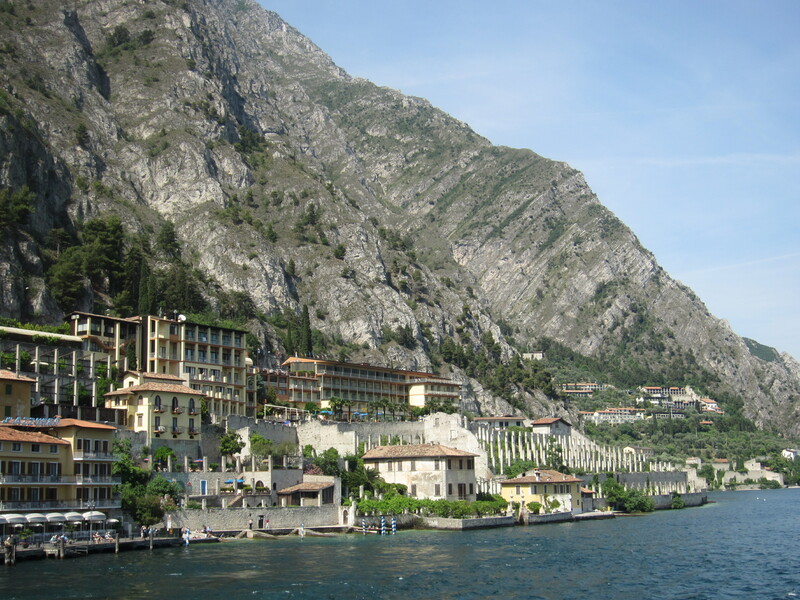 Riva del Garda….the name alone is enchanting no? We had lunch, simple soups, pasta and pizzas, here. 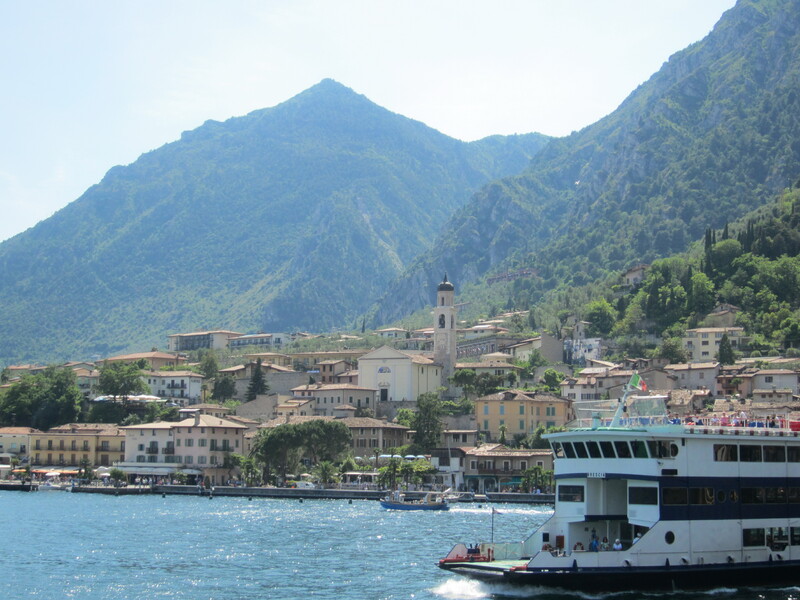 Then it was back on the ferry and on to Limone Sul Garda. This is by far one of my favorite photos of the trip! After a quick walk around, we headed back toward where we came from, Malcesine. Malcesine was actually my favorite town out of the three. 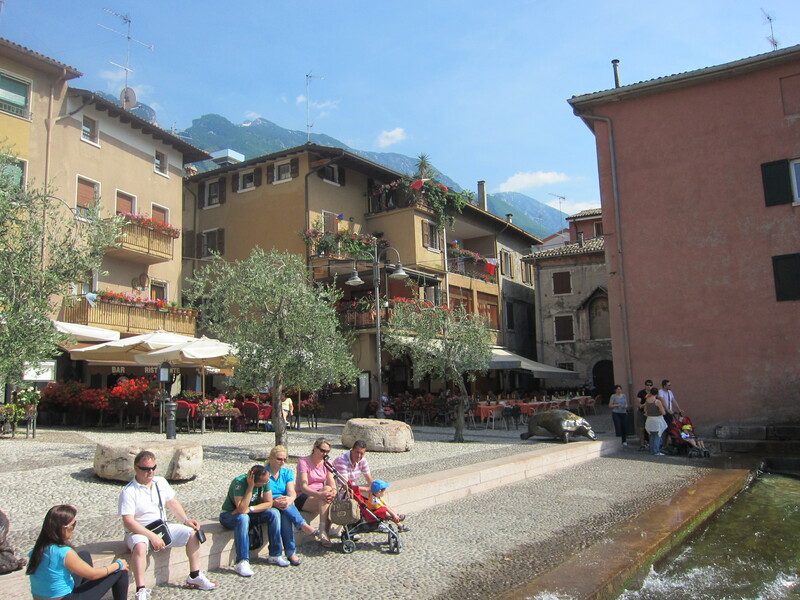 Malcesine has tons of little alleyways filled with quirky shops, eateries and cafes. Oh, and GELATO. Families just sitting around eating gelato everywhere! It’s wedding season right now. 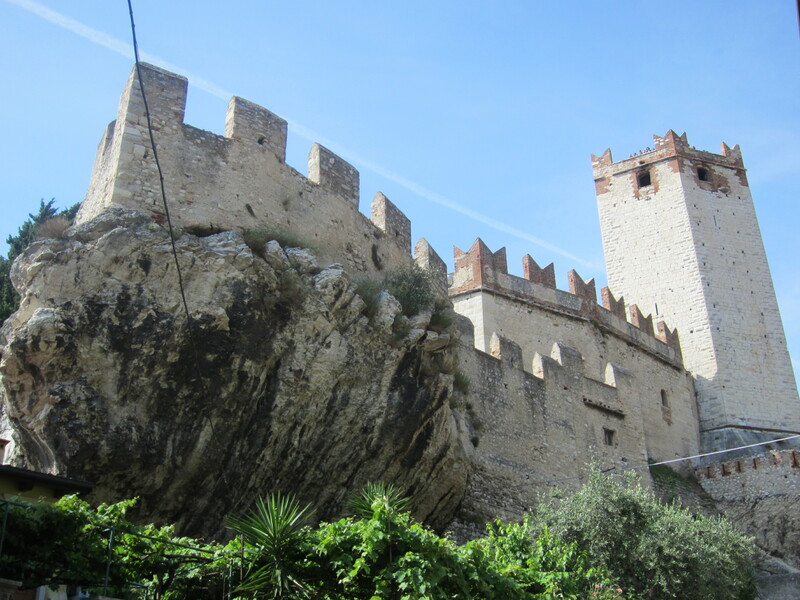 I’m pretty sure there’s no location in the U.S. that will give you the atmosphere of the Scaligero Castle in Malcesine. 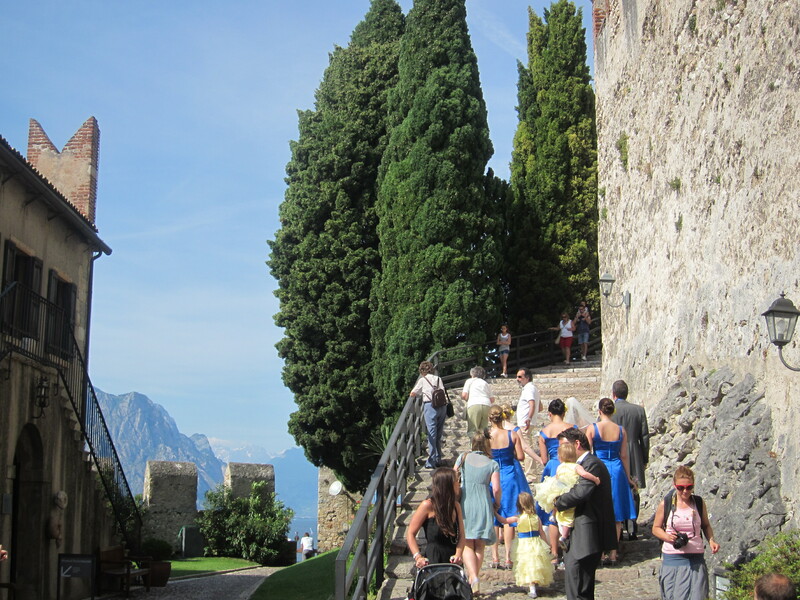 Here’s a bridal party walking around the castle on the couple’s happy day. You can go up to the castle’s tower by taking the cable car. After a whole day exploring these beautiful towns, I was pretty beat. So much so that when we were on the ferry riding back to the departure point, I mistakenly thought that I had more time than I did to spend in the restroom, where I spent my time applying my makeup and combing my hair. When I got out, Hubby and the in-laws were no longer where I had left them and it seemed as if every German face was curiously staring at me. All of a sudden, Hubby burst through the doors, grabbed my hand, yelled thanks to the captain, and ran off the boat. No sooner had we landed did the ferry immediately start chugging away to its next destination. Apparently, I had forced the ferry to wait around a few minutes while Hubby frantically tried to find me. I couldn’t help but get into a fit of giggles while Hubby yelled at me to keep close to him. So a word of warning if you’re planning on taking the ferry to explore Lake Garda, the boat leaves and arrives EXACTLY on time.